From 11:30 am to 1:30 pm, boarding time in the port of Trogir, our bicycles are awaiting you already on board. If you arrive by your own car, you can proceed to the parking reception (as indicated in your travel documents) already from 10:00 am. Upon arrival, our staff will show you where to park and unload your car. Our service-team will take your luggage to the port. After embarkation, our representatives and guides will welcome you aboard with a drink and you will meet the crew and your fellow passengers. After a lunch snack “Cast off!”, heading towards Supetar on the island of Brač, one of the largest islands in the Adriatic Sea. Brač is also known for its white limestone, which is mined here – buildings all over the world, including the White House in Washington, or the Reichstag in Berlin, are built out of it. After arriving in Supetar, we take our bikes and ride over Splitska and Postira to Pučišća. Dinner on board and overnight stay in the Port of Pučišća (24.9 km by bike). After breakfast, we leave the island of Brač and head towards Pelješac, the second largest peninsula in Croatia. In Lovište, a small town located in a bay on the northwestern end of the peninsula, we unload the bikes and ride past Viganj and Kučište to Orebić. Orebić is the capital of the peninsula and is located at the foot of Mount Sveti Ilija (961 m). From here, we will enjoy a magnificent view over the sea and the island of Korčula. After lunch on board, we will set off for Korčula, the island’s homonymous capital, from where we will go by bike to Račišće, back to Korčula and head on to Lumbarda. There follows an opportunity to dine out. Overnight stay in Lumbarda (18.7 and 30.7 km). 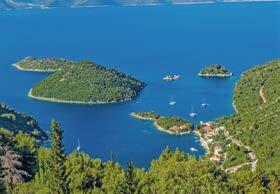 We leave the island of Korčula and sail to the island of Mljet. Part of the island was declared a National Park – two saltwater lakes (in the larger of the two lakes there is a small island with a former monastery) are connected to the sea by a narrow channel. We anchor in Pomena and start our today’s bike tour. At an easy pace we will ride through the forests of the island via Babino Polje and Prožura to Saplunara, back to Prožura and head on to Sobra, where our boat will be waiting. After lunch on board, we will set off for the island of Šipan, which is part of the Elafiti Archipelago. There follows the opportunity to go out for dinner. Overnight stay in Šipanska Luka on the island of Šipan (62.3 km). The Elafiti Archipelago consists of thirteen islands and islets, of which only three are inhabited – Šipan, Lopud and Koločep. In olden times, those islands used to be the summer residence of the Dubrovnik aristocracy, and you may still admire many magnificent mansions. 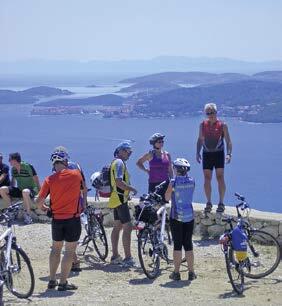 Today’s short bike tour takes us from Šipanska Luka to Sudjuradj on the island of Šipan, and all the way back. From here we will cruise to Dubrovnik, where we will arrive at lunchtime. Dubrovnik is also called the “Pearl of the Adriatic”, since in the Middle Ages the city counted among the most important economic and cultural centres of the Mediterranean area. Today, the Old City unfolds a unique open air museum with countless attractions. 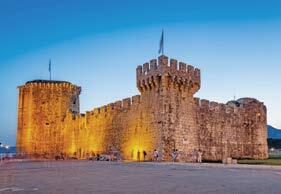 After lunch on board, we are invited to enjoy a guided tour through the historic town with its impressive walls. It takes only a few minutes by bus to get to the old town. The bus stop is located right next to the port, the bus leaves every 15 minutes, last return journey around midnight. Tickets are available from the kiosk (12 Kuna per ride) or on the bus (15 Kuna per ride). After the guided city tour, you will have plenty of time to discover the gems of Dubrovnik on your own and to enjoy dinner at one of the numerous restaurants. Stroll through the famous “Stradun”, take a walk along the massive city walls and visit the numerous unique sights. Overnight stay in Dubrovnik (10.7 km). We leave Dubrovnik and sail to Prapratno at the Pelješac Peninsula. We will ride our bikes to Ston and Mali Ston, two villages connected by an impressive wall. The wall was built in the 14th century; it is 5.5 kilometres long, hence, the secondlongest in the world. There is also the oldest and largest saline (marine salt works) of the entire Mediterranean area, which was built before Christ. Mali Ston is widely known for its mussel and oyster farming. We then continue our tour via Dubrava and Žuljana to Trstenik, where our boat will be waiting. In Trstenik, we will have lunch on board, before heading to the island of Korčula. Korčula has one of the most beautiful old towns in Dalmatia and because of its fortress-like appearance it is often called “Little Dubrovnik”. In olden times, the island was also called “the Black Island”, due to its vast pine forests. Overnight stay in the harbour of Korčula, where you can visit one of the numerous restaurants for dinner (38.7 km). After breakfast, we will cruise towards the island of Hvar. Our next port of call is the island’s homonymous capital, from where we will start our bike tour. We ride through endless lavender fields and vineyards via Velo Grablje to Stari Grad, the oldest settlement on the island, founded in the 4th Century BC as the Greek colony of Pharos. 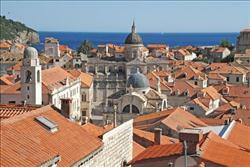 Hvar is also the Adriatic island with the highest number of hours of sunshine and the mildest climate. 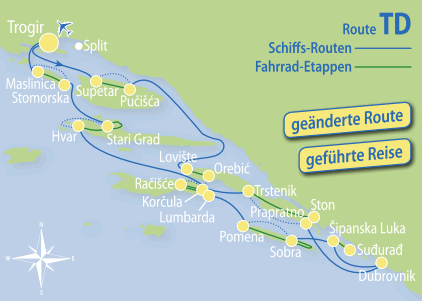 After our on-board lunch in Stari Grad, we will make an easy bike tour via Vrboska to Jelsa and back to Stari Grad. Overnight stay in the harbour of Stari Grad, the perfect setting for tonight’s Captain’s Dinner (21.1 km in the morning + 21.1 km in the afternoon). Our today’s destination is the island of Šolta. 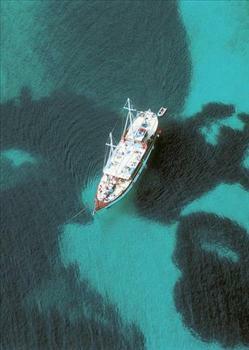 It takes two hours by ship from Stari Grad to Stomorska. Šolta is one of the smaller Dalmatian islands and is known among connoisseurs for the high quality dark-coloured olive oil. We will ride through traditional old villages – Upper Village, Middle Village, Lower Village – that’s how the three communities on the island are called (Gornje, Srednje, Donje Selo). Passing Grohote, we will reach Maslinica, a village named after the Croatian olive tree (“Maslina”), we load our bikes on deck for the last time and set off for Trogir. On our way we will stop at a bay for lunch and to enjoy a last refreshing swim in the Adriatic Sea. We will reach Trogir in the late afternoon. Enjoy the experience of a guided walking tour through the winding streets and discover impressive walls, towers, churches, frescoes and vaults. Do not miss out on taking a look into the unique old yards. Overnight stay in the port of Trogir (18.6 km).